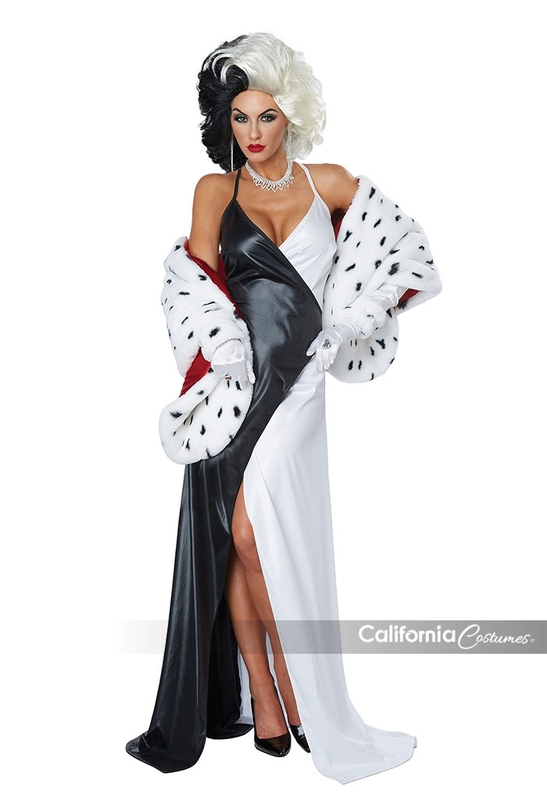 Product Description: This cutthroat Fashionista knows that to stay on top sacrifices need to be made. 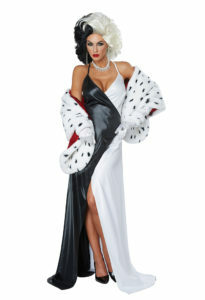 The Cruel Diva costume is a dress with black fabric cross layered over white. It features strap sleeves that cross over in the back and has a side zipper at the top. The included spotted faux fur stole has a red lining.